Suspected deep tissue injury: Purple or maroon, localized area of discolored skin or blood-filled blister caused by damage to underlying soft tissue from pressure and shear. The area may be preceded by tissue that is painful, firm, mushy, boggy, and warmer or cooler compared with adjacent tissue. 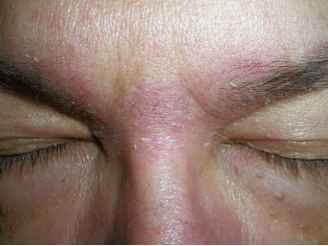 Stage I: Intact skin with nonblanchable redness of a localized area, usually over a bony prominence. Darkly pig-mented skin may not have visible blanching; its color may differ from the surrounding area. The area may be painful, firm, soft, and warmer or cooler compared with adjacent tissue. Stage I may be difficult to detect in individuals with dark skin tones. Stage II: Partial-thickness skin loss involving the epidermis, the dermis, or both. The ulcer is superficial and presents clinically as an abrasion, blister, or shallow crater, without slough. Stage III: Full-thickness skin loss involving damage or necrosis of subcutaneous tissue that may extend down to, but not through, underlying fascia. The ulcer presents clinically as a deep crater with or without undermining of adjacent tissue. Stage IV: Full-thickness skin loss with extensive destruction, tissue necrosis, or damage to muscle, bone, or supporting structures (e.g., tendons, joint capsules). Slough or eschar may be present on some parts of the wound bed, often with undermining and tunneling. Unstageable: Full-thickness tissue loss in which the base of the ulcer is covered with slough (yellow, tan, gray, green, or brown) and/or eschar in the wound bed. A wound cannot be accurately staged if eschar or slough is present. The staging system is useful only for initial classification because wounds do not heal predictably (Ferrell, 1997). Thus, it is important to include other factors when describing the wound, to help assess treatment over time. These factors include size, type of exudate, and a description of the predominant tissue type. Size can be assessed by measuring the two largest diameters at right angles. The type and amount of exudate should be recorded. Exudate types include serous (clear or amber), sanguineous (bloody), or purulent (thick, yellow, and/or odiferous). The predominant tissue types are epithelial, granulation, necrotic, and eschar (AHCPR, 1992; Ferrell, 1997; Makelbust, 1997; NPUAP, 2007).